Marketing has seen a massive renaissance in recent years, morphing from a game of hard sell tactics to a process that provides actual value to any consumer. If you’re still approaching marketing from an advertising perspective, you aren’t succeeding in the online wars. These days, consumers expect content like videos, blogs, articles, eBooks, slideshows, and infographics that cater to their specific needs, and they want this long before a brand executes their why-to-buy pitch. 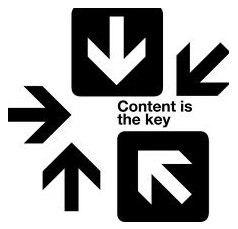 Content marketing, then, is not just a current fad, but a wave of the future. We are indeed in the information age, and companies need to honor the expectations of their demographic. But providing content for the sake of following the trend is not enough to woo the masses. Like any other niche, content marketing is experiencing plenty of innovation and evolution. Below are a number of foreseeable trends for 2015; jump on any of these now and you’ll beat your competitors to the punch. Metrics have always been a marketer’s friend, but the level of sophistication and granularity has really gone through the roof. Tools like Eloqua and Marketo automate much of the marketing process and provide detailed information on what strategies are working and which ones need significant finessing. There is minimal guess work in marketing strategies now, and if you’re not utilizing an automated tool, there’s really no substitution for the quality of data and metrics. Diversification will be an important element to all content marketing strategies in 2015. If you rely solely on blog content, as an example, you will only be able to reach those that take the time to read. The single most popular source of content, as evidenced by feedback from content experts across the globe, is video. If you haven’t already stepped into this avenue, don’t hesitate. It is surprisingly affordable and effective to use video as part of your overall content offerings. The other channel that is exploding in popularity, and has truly become a necessity is mobile. As you create content that tells the story of your brand, remember to cater specifically to users on various screen sizes too. Responsive website design is all the rage, but it is one-size-fits-all, and therefore not at all customized. Take the time to create content for your niche audience groups, and loyalty and reach will increase tenfold. Marketers are planners. Most approach the art form via a strategic, campaign-focused format. These days, however, smart and successful content experts are leaving some room for instant or near-instant responses. If a breaking story swoops into your industry, you are wise to react as fast as possible. Post a blog in an instant to further the conversation. Film a lightning-fast video as commentary. Because these topics tend to trend on social media outlets, you can get in on the action and have your voice be heard. Not all of the most powerful marketing techniques require careful planning; some involve smart reactions to worthy news items in your niche. It used to be that marketers had the daunting task of finding where their audiences dwelled, and creating savvy ways to reach them. These days, leveraging influencers in a given industry or niche is a genius way to create a win-win for folks looking for more attention and notoriety, and to save brands the trouble of developing a rapport with an audience before the ask. Influencer marketing is therefore a very powerful new strategy. It asks influencers to do what they do best: Communicate to their audience. In return, brands must be creative in conjuring ways to reward the influencers for their assistance, but that’s easier than you may think. If you have a strong PR team, as an example, leveraging media contacts to generate more notoriety for your influencers is darn near priceless. The lesson here is simple: You don’t have to go it alone. If there are folks that already hold the attention of the audience you wish to reach, ask them to help. Your credibility will go through the roof. Although the web has made the world a smaller place, most marketers still approach the task of communicating their brand as a US challenge. If you have a web presence, you are in essence an international force. Consider branching out to hot regions like Asia, Africa, and even the Middle East. Discover what areas make the most sense for your business, and derive strategies to make your company known. Social tools like Twitter are popular in some areas (like China) but not in others. Find what your new audience uses to communicate, and experiment with various tactics to get their attention. Your audience will only grow if your innovative strategies follow suit. There are dozens more new trends emerging in content marketing, but those listed above are some of the most prominent for the coming year. The moral of the story is simple: Do not rely on what you’ve always done. As Einstein taught us, the definition of insanity is doing the same thing over and over again, while expecting different results. If you’d like to see your bottom line increase in 2015, it’s time to diversify. What other content marketing strategies have you considered in the new calendar year? Which tactics have brought you the most success thus far?